Doll House Kits: Your Ticket to In-The-Know Techniques. 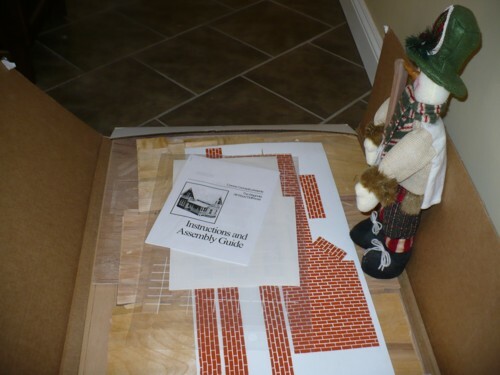 Get the Inside Scoop about Doll House Kits. Be in the "know"! There are So Many Interesting and Unique Kits on the Market Today. Like for instance the Magnolia Kit we received as a Christmas gift in 2013. Dollhouse enthusiasts are so easy to shop for if you know they do not already own a particular kit. Might we say too this is easy to find out. Just ask questions and look around at their collection. Christmas gifts waiting to happen if you know what we mean. Pre-cut wood sheets. So those of us who have no experience or desire or tools to cut our own wood may find this a definite advantage. Silk screened plastic window sheet. You will note this producer has done away with any possible mishap concerning glass. Which in our opinion is a good decision. Set of instructions. This is a good item to include. When all else fails of course read your instructions. In fact before anything fails - read them first. Why wait? Set of schematic diagrams. Another great study tool for those of us interested in the how-to's. All this info can help in knowing how-to proceed. They even illustrate how a pattern is laid out on wood. Which will be valuable info to some. List of items needed for you to supply. This is a must-know list for sure. It's nice that they think of that kind of list. If not you may find half way through your project that you have to make a special trip to a store to find what you need. Tips, tricks and helpful ideas. Which for some of us will be a great addition. 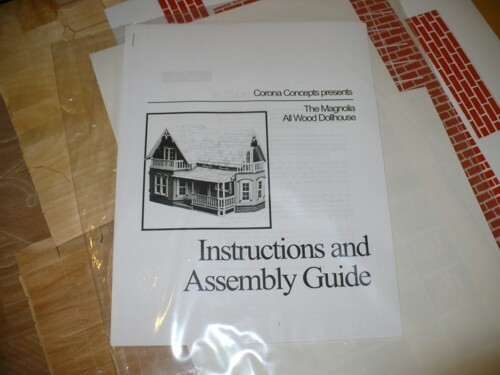 When you open your construction kit you will find the contents needed to build your dollhouse. Some kits contain everything except for a few extra easily obtained items. Such as paint or glue. Then you can even get kits that have less or more elements. These you will have to get for yourself as well. If you have gotten your kit to explore the how-to's .. You should study all items included. Especially if you have plans to sell and design your own products. So study everything even down to how the kit is put together to ship to you. Next look at the written material to gain ideas for your designs. Always come up with unique ways of writing out instructions and pay special attention if you find something you feel necessary but is not included. What you do not see could give you ideas that no one has thought to do yet. What the kit will give you is the view of how it all is done. Plus you can work away at it at your leisure. Which is what a lot of people will find convenient. A lot of us do not have the time to travel to a workshop for these important how-to's. One of the best benefits to the kit environment is that it was put together by people who do have years of experience. So that is a help for sure. Your kit will usually contain a phone number you can call for extra assistance. We found this number in the Introduction to the Instruction and Assembly Guide. After studying all of this practical information and experiencing the actual construction .. You would reasonably know if you had the desire to pursue design work for yourself. And if that is the case there is nothing stopping you from going right into putting your own design down on paper. And starting the process now. Just like looking inside kits is an easy gateway to learn more how-to's you need for your miniature creation. 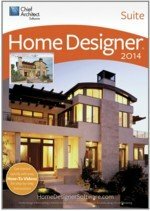 Home Designer Software instructs every step of the way as well. This program features help as quick as a mouse click away. It specializes in helping you design your best design ever. It is worth looking into if you desire the next step up in what you want from your own designs. Kits are a way to learn everything possible about crafting your own mini mansion. If this is an aim you have. Great for people who figure they do not have the time to follow an instructor or attend a class. Great also if you do not have the skills to cut everything out yourself but want to have the hands-on experience of constructing your own tiny dwelling. If you have the desire to simply learn. A kit might just be the creative learning tool you have been looking for. Starting to Learn new Skills are Easy .. So what are you waiting for? It seems that a construction kit is definitely for you in your quest to learn how to make a miniature structure. Doll House Kits are unique in that they let you in to see exactly how someone else crafts a beautiful miniature mansion. If you have the patience you can learn how to do, just as they do. 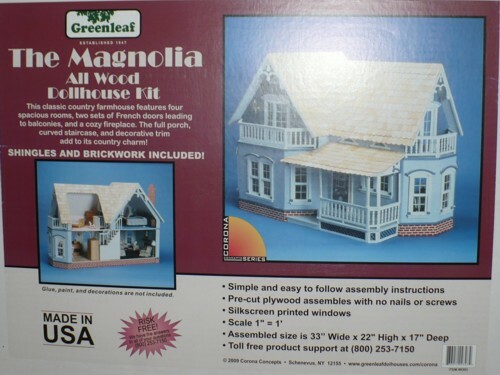 Yes it's just like that old familiar song, "do as I'm doing... follow... follow me..."
Check out our mini gallery displaying the Magnolia dollhouse kit. We take a quick peek inside the box. To evaluate the contents. 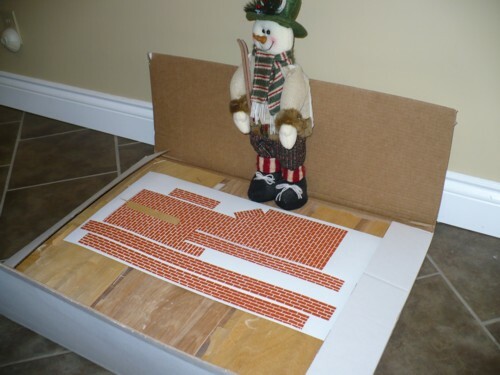 Our little snowman is holding the box up so we can take our photos for you. We plan on enjoying every minute of this future construction. Click on any picture for a more detailed larger view. Get the Best of Both Worlds ..
Doll house kits are the best of both worlds. You get access to the knowledge but you don't have to attend a class. Plus you get to take your time with the process. And learn as you go. However there are a couple of drawbacks too we have to mention. A good dollshouse instructor if you have questions. However Help is just a Step Away ..
That said however there are people online and possibly around you whom you can ask a question or two of. But make sure you pick people who know something about constructing dollhouses. You can not ask the "know it all" of the neighborhood unless he truly does know. You can however, ask people who work in construction though. They may know how to do what you want to do. The guy who builds houses may actually know a thing or two about how you can make your dollshouse all fit together. And then you can hook up with forums on the net. People all over the world may have had their say about your miniature construction project by the time you're finished. That would never have been the case a few years ago would it? The internet is an amazing place where you can find help in any area from anyone who knows. But still stay away from the "know it alls". They seem to only want to hear themselves talk while steering you in the wrong direction. As well in your quest for help don't forget about books. They are one of your best resources for every thing your want to know about mini structures. Check out our Crafter's Bookshelf here and don't forget to check the additional subcategories too. You never know where or when you'll happen upon thee book you've been searching for. This list will get you on your way to possibly venturing out on your own. Maybe you'll even see designing sets of your own in your not too distant future. 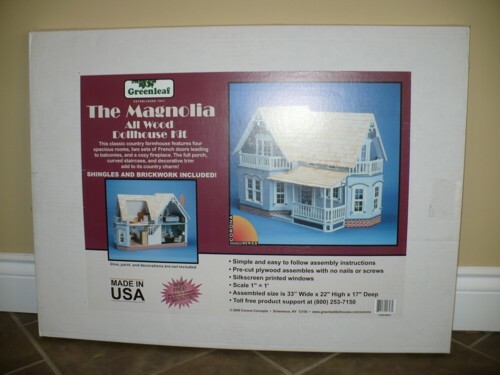 Visit here for even more details concerning these and other doll house kits. Below you will find a good assortment of learning kits to select from. With kits as well you can go from simple to more complex choices. So your learning environment can increase as much or as little as you desire. Regardless of how far you wish to go we hope you make it your own awesome adventure at every turn.